81°N 128°E. 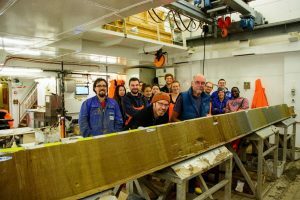 As an ArcTrain PhD Student studying geology in the polar regions, it is with great excitement that I came on board the R/V Polarstern, with the Arctic Ocean as a destination. After several years spent studying the Arctic, what a joy to finally be able to go there! 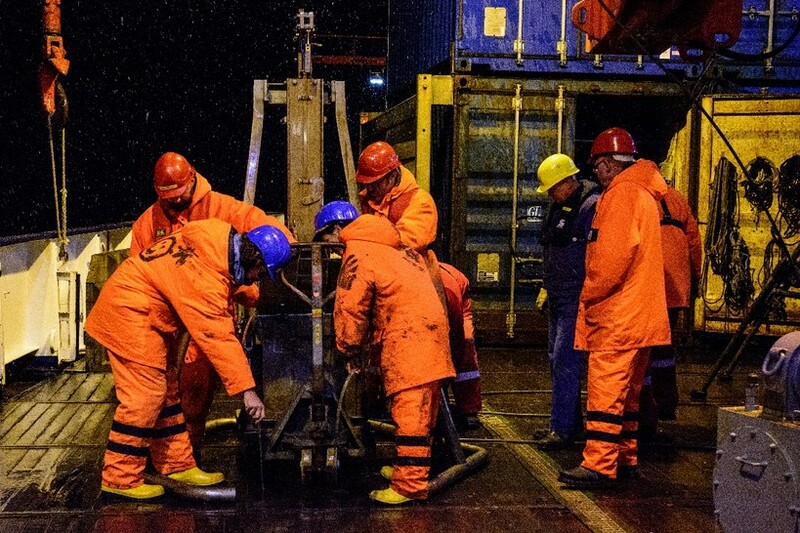 The first week of travelling toward our work area kept us busy with the discovery of the ship, the preparation of all the equipment for work, a series of seminars, etc… and allowed us to build a good spirit among the group of scientists onboard. The ArcTrain Floating University offers us the possibility to discover the different scientific activities happening simultaneously during this mission (geology, geophysics, sea-ice), but as a geologist, it is still in the geology wet lab that I end up spending most of my time. During those travelling days, we were also introduced to the main objectives and methods of this scientific mission, presented by the main group leaders and the chief scientist, Rüdiger Stein. One of the most impressive piece of equipment for geology (and the favorite of our chief scientist) was without any doubt the Kastenlot. This massive corer was supposed to be used for the first geological station. 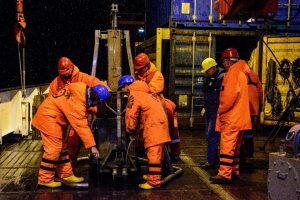 Unfortunately, the morning of this special first coring day, we learned the sad news that we had turned around during the night for a case of medical emergency, back towards Svalbard and back in the Russian EEZ, where no scientific work can be done. A few days later than what was originally planned, we finally arrived at our first geological station! After about 10 days of wait and preparation, all was ready to start with our first coring: the Box Corer, followed quickly by the awaited “Kastenlot”. The box corer is a cubic (1 m) box that will be lowered to the seafloor by gravity and will sample the water-sediment interface, while the Kastenlot is a massive square corer (two 5m long boxes) allowing to collect more sediment, deeper in the seafloor, with minimal disturbance (comparing to other long corers). The combination of these two corers allows to obtain a complete record of the seafloor sediment. It was then time to learn what would be our main work for the next following weeks: reception of the cores, subsampling, labelling, cleaning… we were all listening very carefully the indication of how to proceed from the supervisors and technicians. Then, station after station, we progressively became more confident in our work and started to take more initiatives, knowing what we were supposed to do and how to do it. 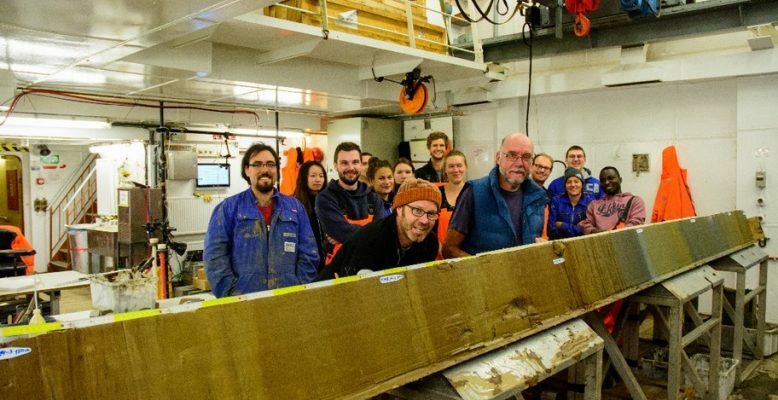 Moreover, the students who will be working on these sediment cores for their graduate theses are also presents on the ship. They have been inspired after the first sight of Arctic sediments, and had the chance to decide with the Chief Scientist what was the most interesting part of the work that they want to do (choose their materials and methods). After a few weeks of hard work (coring, but also numerous watches) and discoveries (sea ice, polar bear, northern lights, new friends! 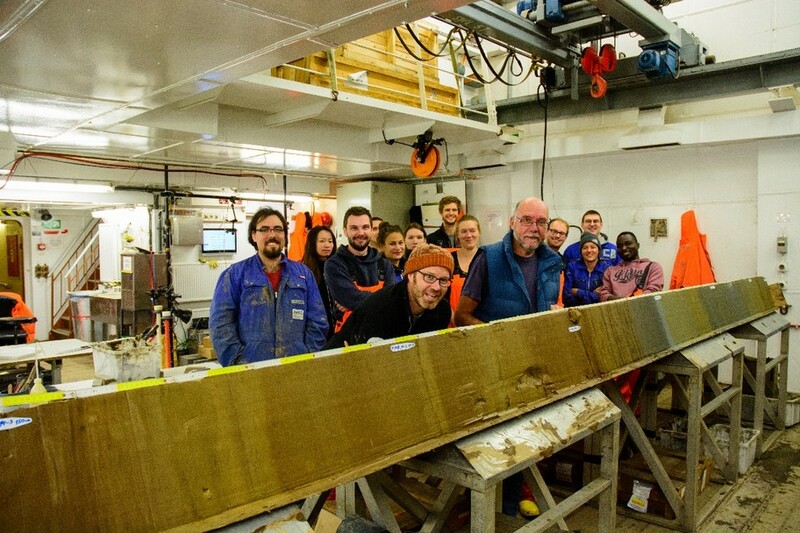 …), we are now already at the end of this cruise with only a few days left to collect sediment cores. Overall, I think I speak for most of the students here when I say that this was a beautiful and enriching experience.